When looking at the general habitat structure and the flowers and plants required for bees it soon becomes clear that it isn’t a one size fits all situation any more than it is for all birds, however if we look first at the native trees, grasses and plants that either are or would have been abundant in our local patch we won’t go far wrong albeit some bees have very specific requirements. 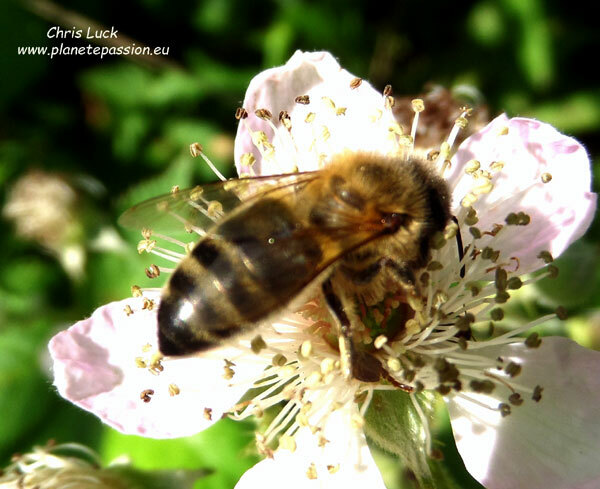 All of these will also play an important role for many other pollinator insects. 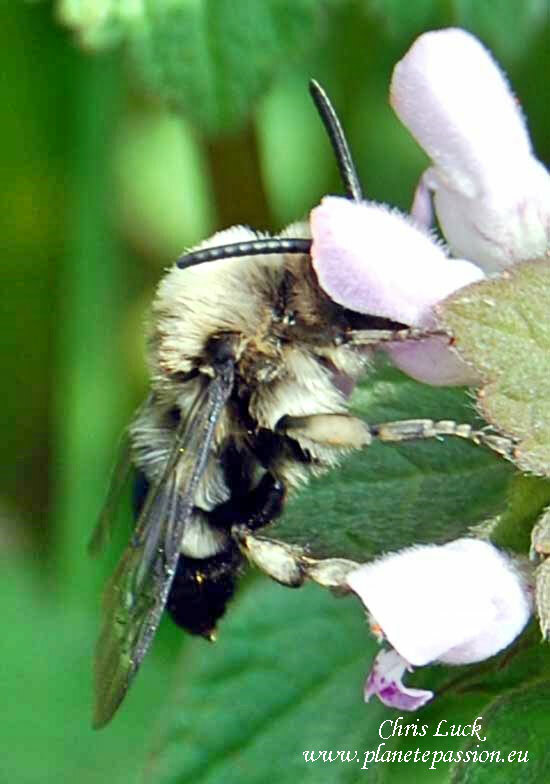 The following native trees, plants and shrubs are selected only for their outstanding importance in providing forage for the majority of types of bee, (Honey, Bumble and Solitary), and should only be seen as providing a foundation. Many other native plants and trees also play their part. Gorse, Ulex europaeus. Pollen – variable flowering including the winter period. Dandelion, Taraxacum officinale. All year including winter and early spring. Violets, Viola sp. - February/May. Herbs play an extremely important role and many are or can be cultivated with ease, often as specific named cultivars. Principally nectar providers. Rosemary, Rosmarinus sp. - Can flower periodically throughout the year. Borage, Borago officinalis. – Annual or short lived perennial, flowers anytime if mild. 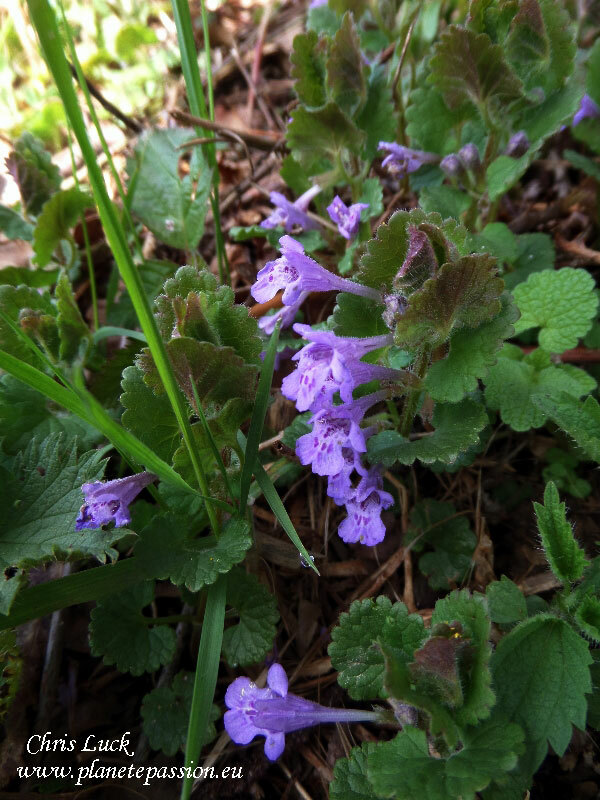 Hyssop, Hyssopus officinalis. – Summer/Autumn. Some of our native flowers that are annuals and biennials depend on the turning of the soil surface that is usually connected with cultivation and the growing of crops. Few of these are commonplace anymore due to herbicide use and improved harvesting / grain separation methods. In most cases this means only two plants of any significance for bees. Poppy, Papaver rhoeas. – Spring/Autumn. 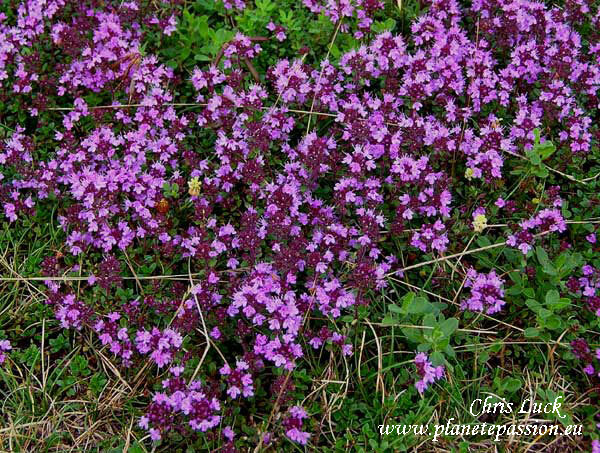 ABOVE: Wild thyme and other herbs can find a place in every garden, even in a pot or a window box if that's all you have. ABOVE: Bramble, (or Blackberry), buzzes with bees and other pollinators for months . 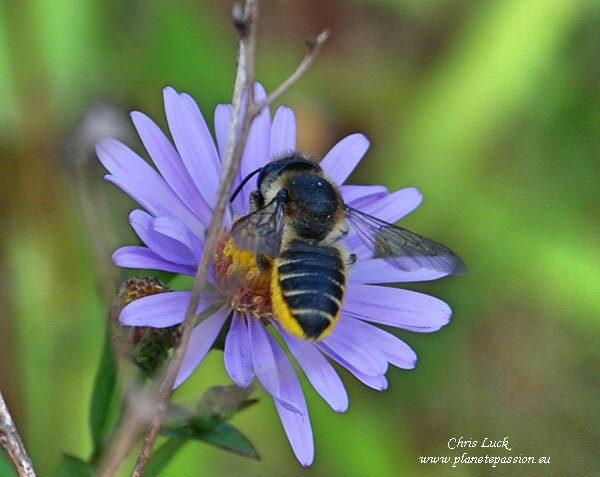 ABOVE: Michaelmas daisies grow wild and provide wonderful late summer / autumn forage for bees in France such as this "Leaf cutter" Megachile species. 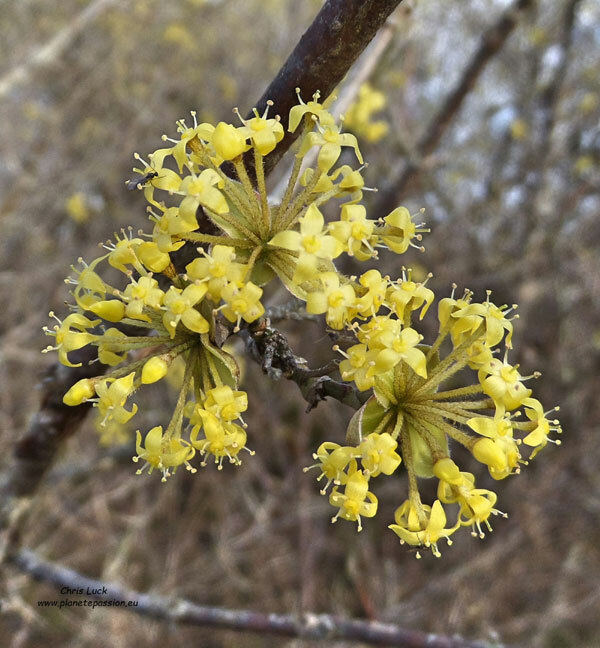 ABOVE: Cornelian cherry, (Cornus mas), is a joy to see early in the year and it's quite a favourite with the bees as well. 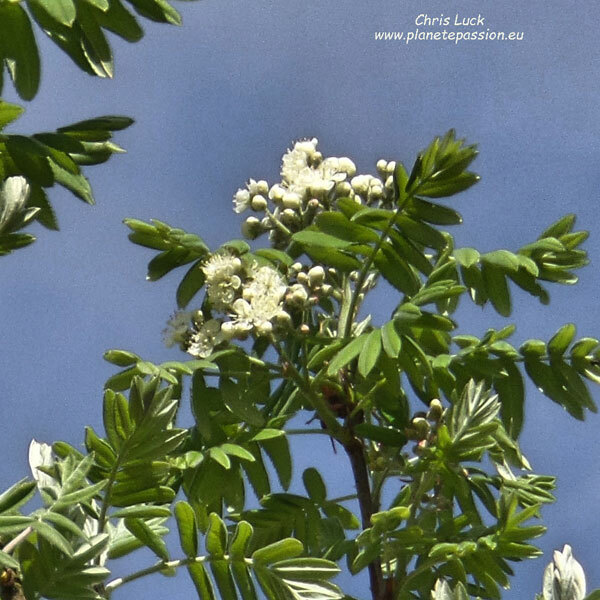 ABOVE: The Service tree, (Sorbus domestica), is mainly found in the West, Southwest and South of France where it is, or used to be, part of hedgerows. It tends to have good and bad years for flowering, bees adore it. 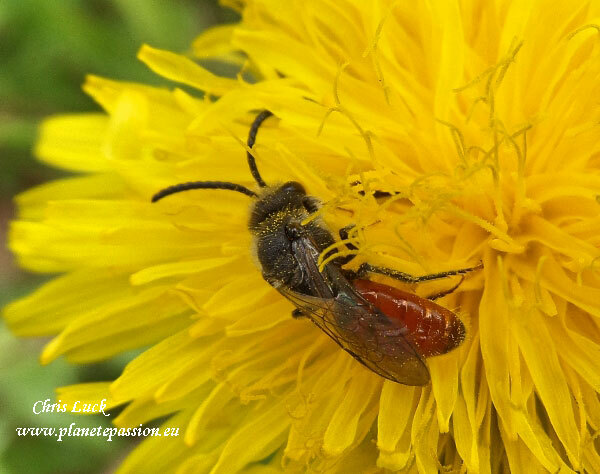 ABOVE: Sphecodes are a large cleptoparasitic genus or cuckoo bees that lay their eggs in the cells of the other species - seen here on Dandelion. 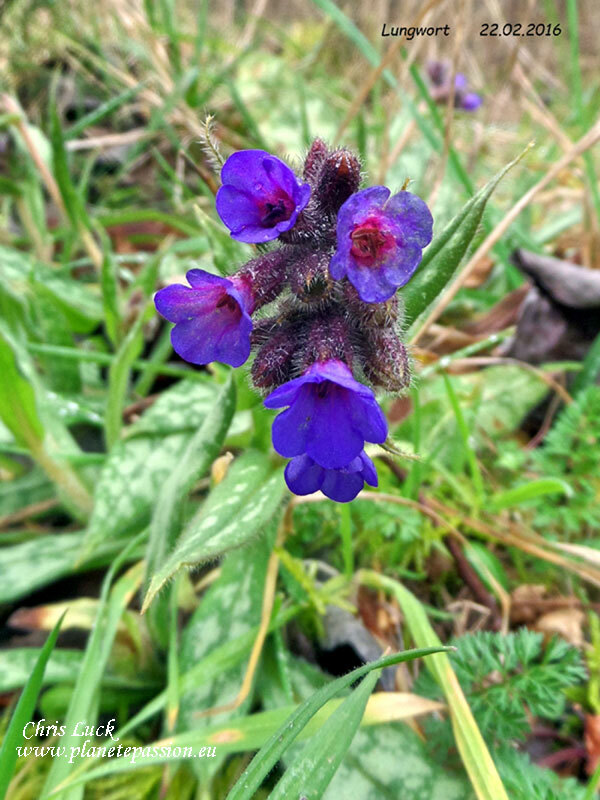 ABOVE: Lungwort is one of the best long flowering Bumble bee flowers there is and well worth encouraging in fields and along hedgerows. 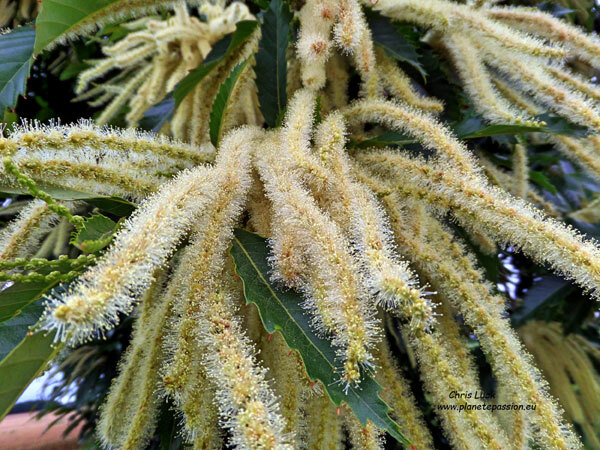 ABOVE: Sweet chestnut flowers supply nourishment for a huge number of bees and insects as well as providing the nectar for a very distinctive strong tasting dark honey.